Okay, this is just too amazing not to share. 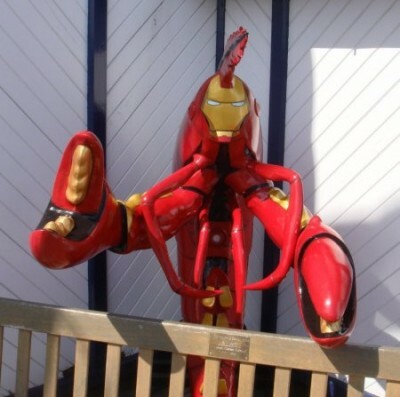 Otaku blogger Meimi132 recently took a trip to Cromer, England and stumbled across what appears to be a giant lobster dressed in Tony Stark’s patented Iron Man body armor. 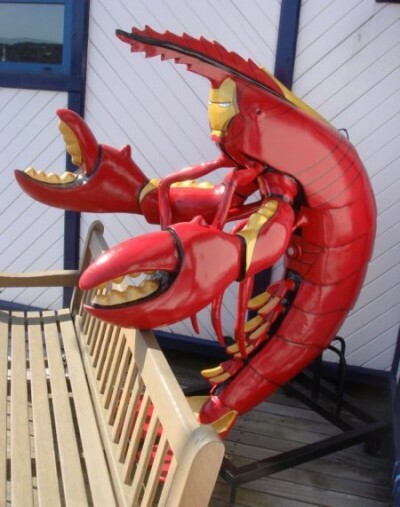 Who could have been insane enough to create this unholy medley of claw and steel? Good question, though, you have to give whoever did it credit for originality. 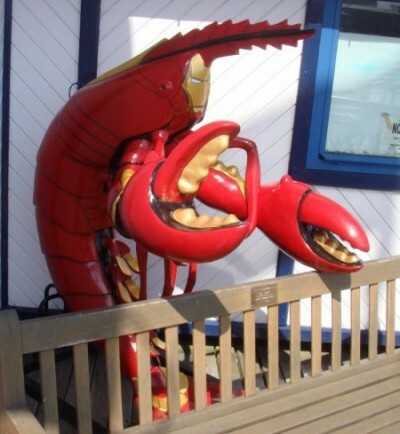 According to Meimi132, there are 80 more lobsters spread around the sea-side town, but I doubt any of them are anywhere near as awesome. For more pictures, including a few of an Avatar-inspired counterpart, check out the full entry here.